Companies can increase sales by up to fifteen per cent with one weird trick: swapping out one model’s face for another in their ads. Consumers hate them! 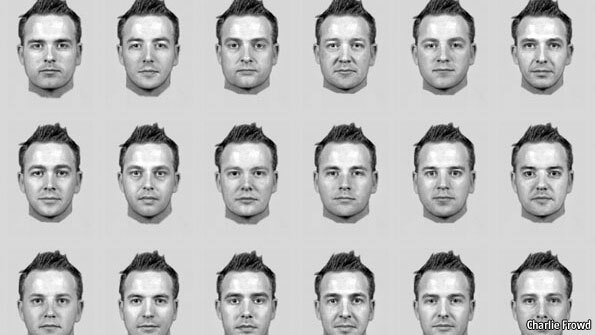 In all seriousness, a study published in Marketing Science tested some new facial selection software with some success—at best fifteen per cent increase in sales, with an eight per cent average increase. So what the hell does “facial selection software” mean? Imagine a basic ad (or, you know, look at the top of the page). Easy to cut and paste a new face on the model, right? Well, this software has the features of faces rated, along with a huge library of model images. The more a person clicks on ads with a certain type of face, the more of that type of face appears in the ads presented to that person. Say Bob is more likely to click on ads featuring redheaded models than other models. This software, which researchers tested on 989 people, using real ads, will start showing Bob more ads with redheaded models. But it’s more detailed than that—the software is sensitive to even very small differences in faces. If Bob prefers narrower noses, that’s what he gets. Fuller lips? No problem. Bob might not even realize that he prefers, say, arched eyebrows, until he starts seeing way more of them in his internet advertising. If you’re in marketing, that’s pretty cool news. If you’re pretty much anyone else, that likely sounds terrifying. Either way, we can’t wait for the day that we discover all the physical features of our ideal advertising model in minute detail. And we especially can’t wait until our girlfriends start checking on what advertising we’re clicking.